Wi-Fi Repeater | iPhone 5 Features, Apps and Accessories Ranked! 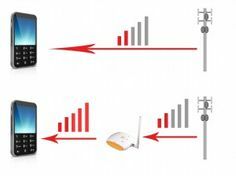 Finding it difficult to get a reliable Wi-Fi signal at Home?? Here is a soluton to manage all those issues. 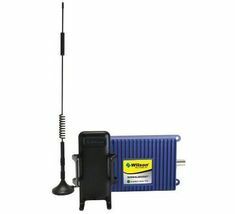 A WiFi repeater or extender is used to extend the coverage area of your WiFi network by receiving existing WiFi signal, amplifying it and then transmitting the boosted signal. With a WiFi repeater one can effectively double the coverage area of your WiFi network – reaching far corners of your home or office, different floors, or even extend coverage to your yard. WiFi boosters, repeaters, and extenders are mostly the same thing – devices to improve WiFi coverage. There isn’t a clearly defined difference between devices that manufacturers describe as “repeaters” and devices described as “extenders”. However, not all WiFi extenders work in the exact same way. There are several different kinds of devices available and below we aim to explain what those differences are and how they work, so that you can choose the best WiFi repeater for your circumstances. There are a couple of solutions to try before opting for a WiFi extender. The simplest is to try moving the location of your WiFi router. It should be in the most central location possible. Though, one of the best options for a new router is the Archer C9 AC1900 Router from TP-Link which offers 802.11ac, the next generation of WiFi. It’s a dual band router with ultrafast dual core processors and four gigabit ethernet ports for use with Smart TVs or game consoles. It comes with unique Beamforming technology. This technology allows the routers to concentrate the WiFi signal towards your WiFi devices. By targeting the WiFi signal to where it’s being used, the speed and performance of your network is greatly increased. One of the most straightforward is a powerline ethernet kit like a starter kit from Zyxel. 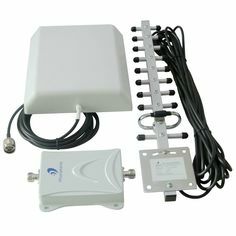 The kit allows you to send your internet signal over the electrical circuit in home or office. It comes with 2 adapters; one plugs into a power socket near your current router, and the other in the location where you need signal. One should connect the first one to router using an ethernet cable, and the second to an ethernet device (e.g. a Smart TV or games console). The second adapter could also be connected to a WiFi router for a second WiFi network. The great advantage to this solution is that it is fast. Firstly, it’s fast to set up. You plug and go. Secondly, it’s fast in bandwidth terms. An extender that uses WiFi will usually see some speed loss. Because they’re communicating with the router over Wi-Fi, there’s a big speed drop if the extender talks to your devices on the same band it’s using to talk to the router.